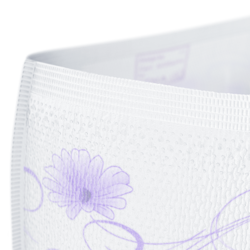 TENA Lady Pants is a highly absorbent soft textile-like pant, providing high leakage security and quick absorption to keep you secure and confident. TENA Lady Pants is designed to stay in place while providing excellent protection, comfort and discretion. 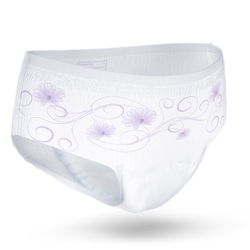 Thanks to a revolutionary cotton-like soft fabric and the improved waist, the TENA Lady Pants Discreet body contoured shape is similar to regular underwear. It provides a secure, comfortable and discreet fit. With its new all-around design by Ceri Williams, professional lingerie designer designing for top fashion brands, TENA Lady Pants Discreet has a more elegant and fashionable look. 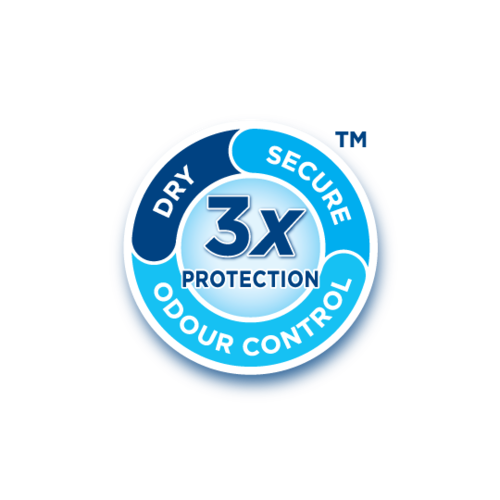 The breathable cotton-like material looks and feels like regular underwear, yet provides complete confidence and security. The innovative core of TENA Lady Pants Discreet is both thin and secure, for discretion and comfort. 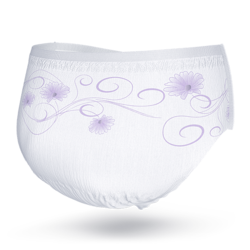 Our core design, with numerous lengthwise elastics, offers comfort and fit. 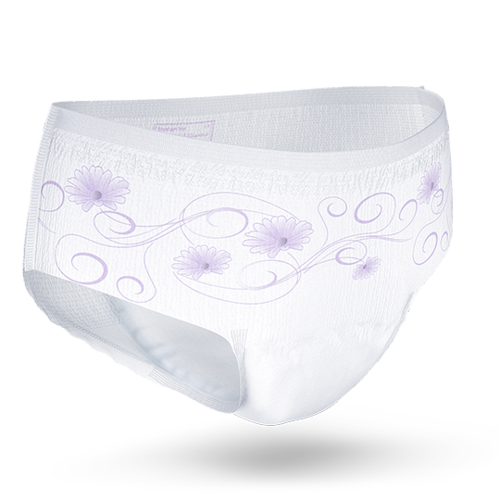 The low waist makes the product discrete, allowing you to wear the clothes you like. The improved waistband, of our most underwear-like pants ever, offers comfort, fit and security.